The Shanghai Tongji University’s student car racing team, TJU, will participate in Formula SAE 2017, an auto design competition organized by the Society of Automotive Engineers (SAE) International. The first stop of the tour takes place in Germany this month. 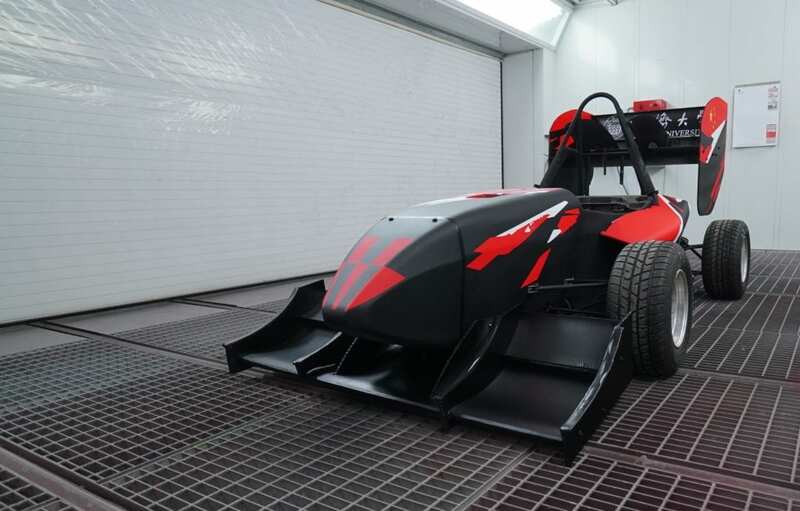 The race car, dubbed TR17, was designed and developed independently by students from the College of Automotive Studies of Tongji University. TR17 is painted with Axalta’s Spies-Hecker waterborne coating, courtesy of Axalta Coating Systems and was applied at Axalta’s Asia-Pacific Technology Centre. The support from Axalta has enabled the TJU racing team to witness the birth of an innovative, camouflage car body design with red, black and white patterns. The coating has decreased the car’s body weight when compared to the team’s previous race car, providing an advantage over the competition. Lightweight, yet stable race cars dominate today’s auto sports. With carbon fibre, the TR17 is able to reduce its overall weight, but the car-body surface is very porous. Therefore, the coating must accomplish smooth coverage and quality appearance while keeping its total weight to the lightest level when complete. Axalta’s technicians applied Spies-Hecker waterborne coating to the TR17 and the weight of the entire car was increased by only 700 grams, although the thickness of the coating was only 50 microns. “The TR17 is specially designed to bear patterns of China’s national flag at the sides of its tail wings. Having China’s national flag presented on a car demands high standards of painting technology, equipment used and the environment. 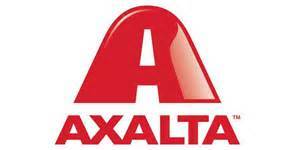 Axalta Spies-Hecker is designed to provide performance efficiency and its waterborne properties offer sustainability to the environment. Axalta’s wet-on-wet coating technology requires only 1.5 sprays per step, completing the coating process of TR17 with the best coating effects in only three days,” said Zhang Renjun, Technology and Training Manager at Axalta China Refinish, who is responsible for TJU’s race car coating project. Sponsorship of the TJU race team aligns with Axalta’s global STEM (Science, Technology, Engineering and Mathematics) education program as well as the company’s CSR commitment in China which incorporates education on sustainability. The cooperation between Axalta and Tongji University’s racing team is part of demonstrating the value of technologies, engineering and innovation behind Axalta products as a way to inspire students to develop a passion for, or pursue a career in coating innovation and technology. The TJU racing team won the Formula SAE China 2016 championship and the team looks forward to another exhilarating performance at Formula Student 2017.